Food supplements containing creatine supplementation has been shown to have positive effects on the energy supply to muscle cells during and between exercise performances. But what is the most useful dose? We recommend taking 3–5 g of creatine per day. The most common and well-studied form of creatine is creatine monohydrate. This can be used in beverages or in other types of products such as energy bars, capsules or tablets. When taking creatine, make sure that you do so with sufficient fluids (e.g., 3 g of creatine monohydrate in a glass of water). Creatine monohydrate and creatine supplements in general are often offered as a powder that should be dissolved in water or juice. Warm water or tea makes the dissolving process easier. Creatine monohydrate dissolves somewhat more slowly in cold water or other cold drinks but is not any less effective. Once taken its bioavailability is greater than 95 percent. It also makes sense to take creatine with sugary drinks (e.g., grape juice) or with a meal because the muscles of your body can absorb creatine more easily when insulin is present. But taking creatine or creatine supplements without sugary drinks is just as effective. However we do not recommend ingesting large quantities of simple carbohydrates with creatine. It is assumed that there is a negative interaction between pure caffeine and creatine. However, research on this subject has remained inconclusive. In tests between 5 and 7 mg of caffeine per kg of body weight were used (i.e., 350–490 mg of caffeine for an individual who weighs 70 kg). Although no negative effects on creatine storage and muscle growth were observed, there may have been an effect on sprinting performance or explosive strength development. It cannot be conclusively assessed whether the intake of caffeine should be restricted when taking creatine. For the sake of safety one should avoid heavy caffeine consumption prior to any intense workout in any case. 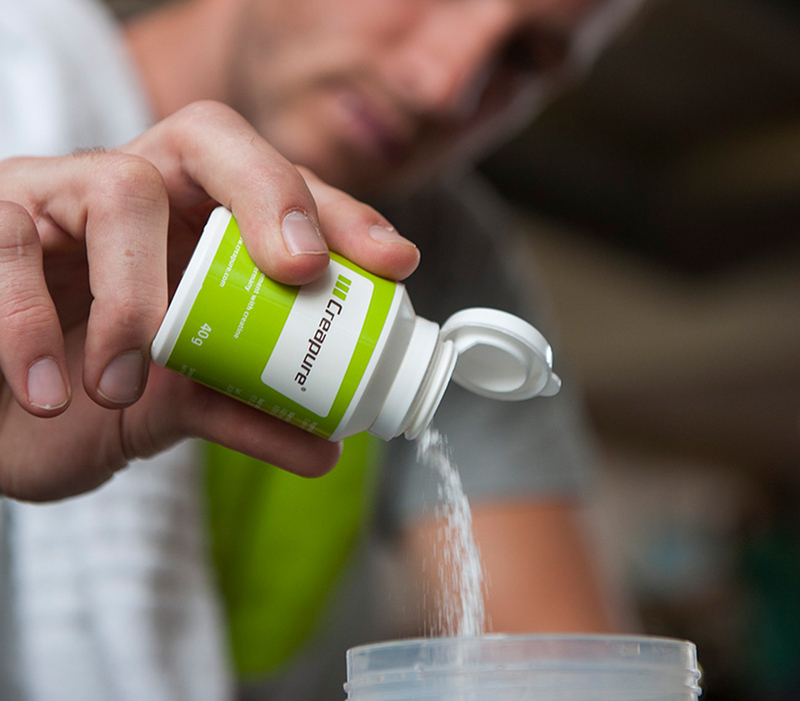 Taking creatine in capsule or chewable tablet form is just as effective. Capsules usually contain 750 mg each, while tablets usually contain about 1 g. The recommended daily dose is 3–5 g per day. Even today, creatine monohydrate is the best studied and most reliable form of creatine. Apart from creatine monohydrate and common salts such as creatine citrate or creatine pyruvate, which have improved solubility, there are also other forms of creatine. However, these have not been researched as thoroughly and are not permitted in many countries. They are also usually more expensive than the monohydrate form. There is no scientific evidence that suggests that newer creatine compounds are any more effective than creatine monohydrate. An example of this is creatine ethyl ester (CEE). In contrast to soluble creatine salts, this compound does not break down into separate creatine and salt components when ingested. While creatine monohydrate is almost completely absorbed into the body, there are scientific studies that show that CEE rapidly decomposes into an ineffective form of creatinine in the gastrointestinal tract.